Millennium Hotels and Resorts recently signed a new agreement to build a five-star property on Al Marjan Island, Ras Al Khaimah, in partnership with SuperCasa Development Limited. Operating under the Millennium brand, the 339-key beach resort is scheduled to open in 2020. The resort will be situated on a 75,000-square-foot plot on Al Marjan Island, Ras Al Khaimah’s first man-made island project. Located only 30 minutes from Ras Al Khaimah International Airport and 50 minutes from Dubai International Airport, Al Marjan Island is set to redefine Ras Al Khaimah’s hospitality sector, with large-scale developments comprising hotels, villas and residential units, in addition to marinas, retail and recreation facilities. Boasting a unique and iconic design, the Millennium resort will enjoy panoramic views of the Arabian Peninsula and access to a private beach. World-class facilities include two swimming pools, a fitness centre, treatment rooms and meeting and event spaces. 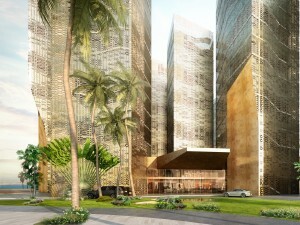 The resort will also host all-day dining, poolside restaurant, specialty restaurant and a sky bar. Thailand-based hospitality company Dusit International has signed a hotel management agreement with Al Manzil Hospitality Group to operate dusitD2 Seef Bahrain, its contemporary leisure and business hotel, scheduled to open in Manama 2018. 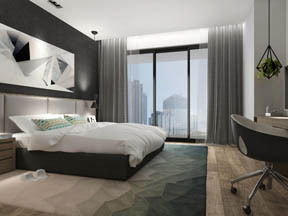 The new hotel will be the company’s first hotel in the Kingdom of Bahrain. 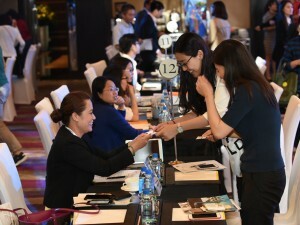 The opening will help to position Dusit for further expansion within the GCC region, where it already operates five hotels, with another five confirmed in the pipeline. Located in close vicinity of Bahrain International Airport, the contemporary upscale hotel will comprise 195 spacious units with sea view. Amenities will include meeting facilities, a kids’ club, an expansive health and fitness centre with spa and rooftop pool and a multitude of restaurants. Thomas Cook is set to open its first own-brand hotel in UAE, the smartline Ras Al Khaimah Beach Resort, on November 1, 2017. It will be a contemporary beach resort featuring 253 chalets, a 700-metre private beach, three pools, four bars, a coffee shop, a buffet restaurant, a spa with sauna and Jacuzzi, inclusive of WiFi. Apart from this, Thomas Cook and Ras Al Khaimah Tourism Development Authority have extended their major co-operative marketing agreement which aims to raise the profile of the UAE emirate as a premier leisure destination for European tourists. The partnership, which started in 2016, enters its second phase in August 2017 and seeks to further develop Ras Al Khaimah as a year-round destination for holidaymakers through inspiring marketing content delivered via Thomas Cook’s multi-channel media offering. 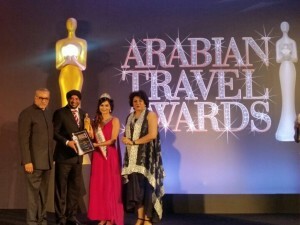 At the glamourous Arabian Travel Awards held a few hours ago in Dubai, the dynamic and globally acclaimed Kulwant Singh, Founder and Managing Director, Lama Group, was felicitated with the Face of the Future award. Singh, with his hard work, business acumen and conviction, nurtured a small company of a few people to grow into an empire of 500 professional and skilled employees, spread across Europe, Russia, China, India, the Philippines and the CIS countries. Even within the GCC, he has offices in Oman, Kuwait and Saudi Arabia. Taking his business beyond core travel and tourism, he has now successfully ventured also into marketing, representations, hotels and restaurants. Recently, his company has launched new products, namely, Luxury Yacht Cruises, Dhow Cruises, Hummer Safaris and Explore Arabia – a day long encounter in true Arabian style. Celebrating the hard work of the key stalwarts in the travel, tourism and hospitality industries in the Middle East, Durga Das Publications today presents the maiden Arabian Travel Awards at JW Marriott Hotel Dubai in Deira. There will be four types of awards: Personal Awards, Business Awards, Trending Awards and Partner Awards. The sub-categories will include awards for Best Business Hotel, Best Family Friendly Hotel, Best City Hotel, Best Green Hotel, Best Leisure Hotel, Best Destination Management Company, Best Hotel Apartments, Best B2B Travel Portal, Best Luxury Hotel and the likes. 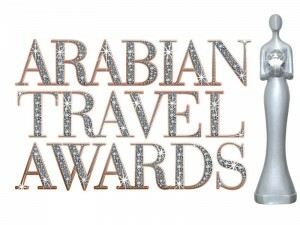 The Arabian Travel Awards are following a systematic method of internet-based voting. 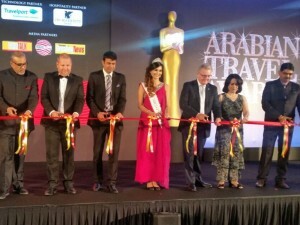 These awards are supported by Tourism Breaking News Middle East, TravelTV.news, TravTalk Middle East and TravTalk India who are premier media partners for extensive coverage. 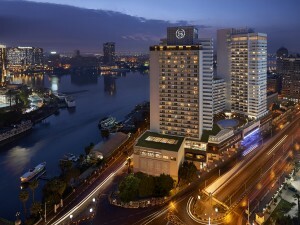 Sheraton Cairo has reopened after an extensive renovation process, with contemporary interiors, refreshed public spaces and revitalized and new dining venues. The hotel’s 326 fully renovated rooms and suites feature a harmonious blend of modern designs, along with a warm palette offering unmatched comfort and the Sheraton Signature Sleep Experience. Sheraton Club rooms offer exclusive access to the Sheraton® Club Lounge, a private space located on the 26th floor, offering a spectacular view of the city and where guests can enjoy complimentary breakfast, drinks and snacks. Leisure facilities include an extensive fitness centre with cutting edge equipment available 24 hours a day for in-house guests, a luxurious pool and a fully equipped wellness centre. There are also six distinctive restaurants and bars that create an enriching culinary voyage. Over its 1400 sq. m. of dedicated and unparalleled meeting space, Sheraton Cairo Hotel & Casino also features a lavishly appointed ballroom, 13 meeting rooms and a fully equipped business centre, all with state-of-the-art facilities and seamless connectivity through high-speed Wi-Fi. 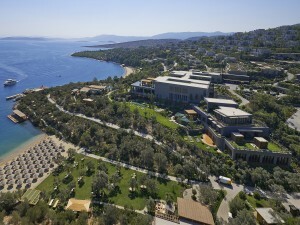 With a continuous increase in the number of tourists from the Middle East seeking wellness experience on their holidays, Mandarin Oriental Bodrum Turkey has introduced a holistic wellness experience on the Turkish Riviera this summer for its guests. The property will be hosting strength and conditioning coach, Ruben Tabares, and Shaolin Kung Fu Master, Master Hu, who would be having personalized wellness and nutrition programmes for each of the guests. Tabares specializes in developing every client’s athletic ability along with providing the tools necessary to make a lifestyle change based on individual growth and purpose. Guests can choose from a range of thoughtfully designed and effective programmes created by Tabares. Each programme commences with an initial physical assessment followed by an intensive workout plan, nutritional consultation and personalized wellness massages.